ScienceOpen – making publishing easier. Why review? Reviewing with ScienceOpen, the new OA research + publishing network, is a bit different from what researchers may have experienced elsewhere! To see for yourself, watch this short video on Post-Publication Peer Review. Q. For busy researchers & physicians, time is short, so why bother to review for ScienceOpen? 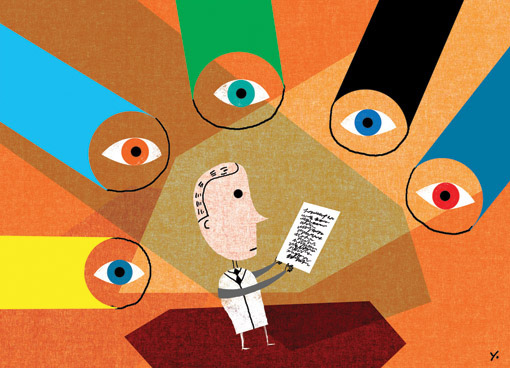 David Black, the Secretary General of the International Council for Science (ICSU) said in a recent ScienceOpen interview “Peer Review as a tool of evaluation for research is flawed.” Many others agree. Here are our observations and what we are doing to ease the strain. Anonymous Peer Review encourages disinhibition. Since the balance of power is also skewed, this can fuel unhelpful, even destructive, reviewer comments. At ScienceOpen, we only offer non-anonymous Post-Publication Peer Review. Martin Suhm, Professor of Physical Chemistry, Georg-August-Universität Göttingen, Germany and one of our first authors said in a recent ScienceOpen interview “Post-Publication Peer Review will be an intriguing experience, certainly not without pitfalls, but worth trying”. We believe that scholarly publishing is not an end in itself, but the beginning of a dialogue to move research forward. In a move sure to please busy researchers tired of participating without recognition, each review receives a Digital Object Identifier (DOI) so that others can find and cite the analysis and the contribution becomes a registered part of the scientific debate. All reviews require a four point assessment (using five stars) of the level of: importance, validity, completeness and comprehensibility and there’s space to introduce and summarize the material. Should authors wish to make minor or major changes to their work in response to review feedback, then ScienceOpen offers Versioning. Versions are clearly visible online, the latest are presented first with prominent links to previous iterations. We maintain & display information about which version of an article the reviews and comments refer to, this allows readers to follow a link to an earlier version of the content to see the article history. When Peer Review is done in the open by named individuals, we believe it should be more constructive and issues will surface more quickly. The resolution of matters arising isn’t simpler or quicker because they are more obvious, but at least they can be seen and addressed. Previous: Previous post: ScienceOpen – making publishing easier. Why publish? Next: Next post: Researcher #profilefatigue – what it is and why it’s exhausting!